Is an exquisite sweet floral fragrance that captures the delicate spirit of the hummingbird and all the flowers it loves to partake in as it travels to and fro. 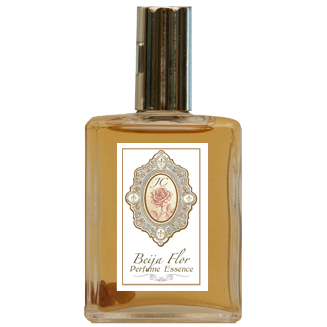 Bejia Flor is for the woman who likes a sweet, sensual, exotic essence. Contains: Honeysuckle Absolute, Petigrain Sur Fleur, Bergamot, Vanilla Bourbon C02 and more. Infused with peridote, citrine and amber crystals.